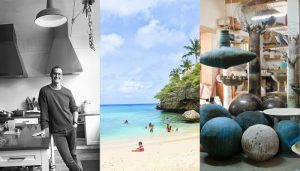 When thinking about classic European destinations guaranteed to deliver maximum yuletide joy for the lead-up to Christmas, cities like Vienna, Nuremberg, Munich and Salzburg immediately come to mind. And for good reason, because most of the traditions, symbols and characteristics that we now associate with Christmas were born in the Germanic countries, with some traditions, like Christmas trees, originating way back in the Middle Ages. But Christmas was too good an idea to keep bottled up in the German Empire forever, and it eventually found its way out of mainland Europe and across the channel in the luggage of Francis Albert Augustus Charles Emmanuel (Prince Albert) on his betrothal to Queen Victoria. 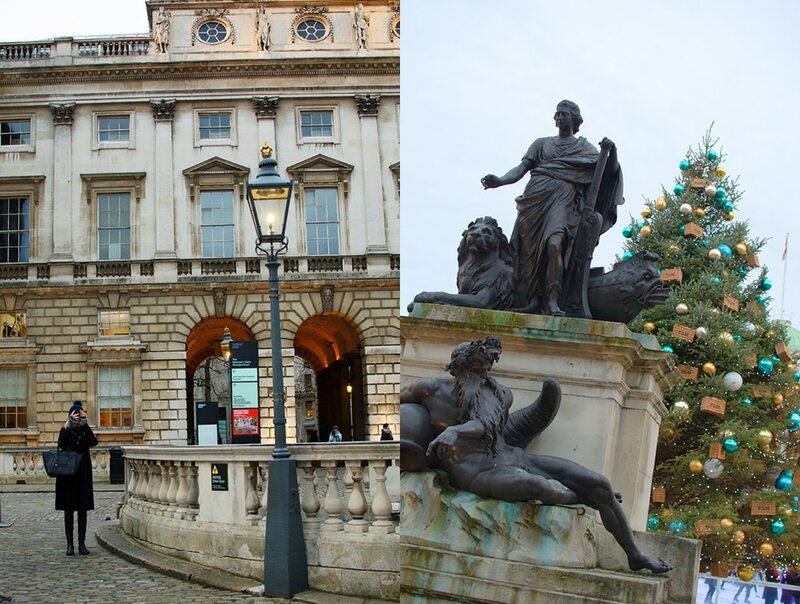 Yes, almost everything you now know as “Christmas” really comes by way of the English. 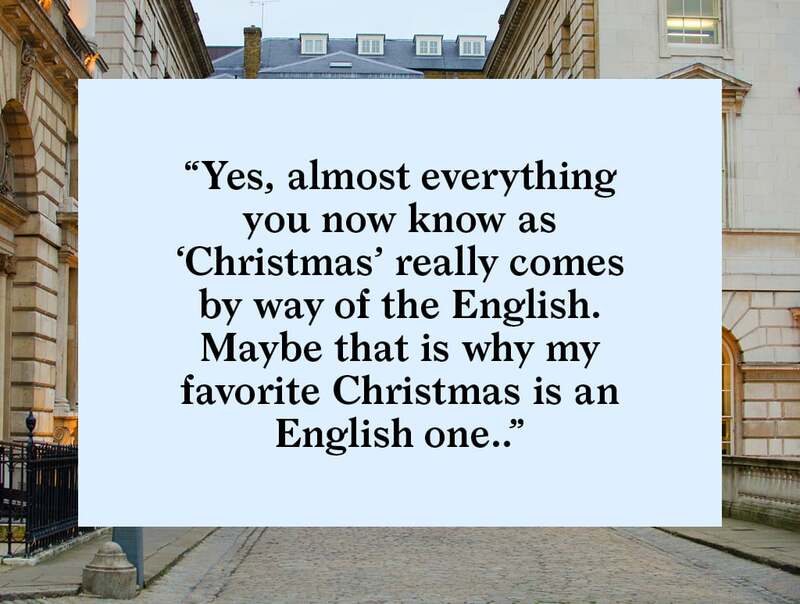 Maybe that is why my favorite Christmas is an English one. 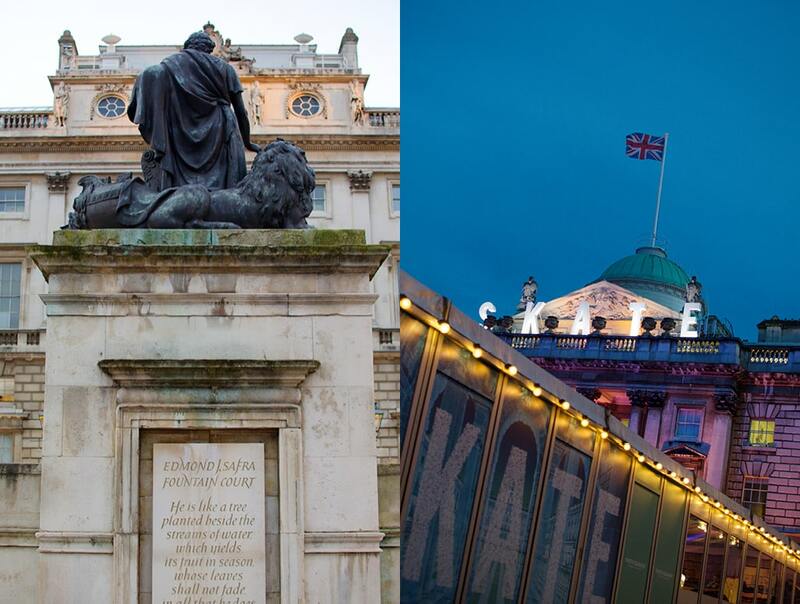 So, for your classic Christmas extravaganza, stock up on Christmas crackers, don your paper crown, pop a threepence in the plumb pudding, and book your ticket to London. 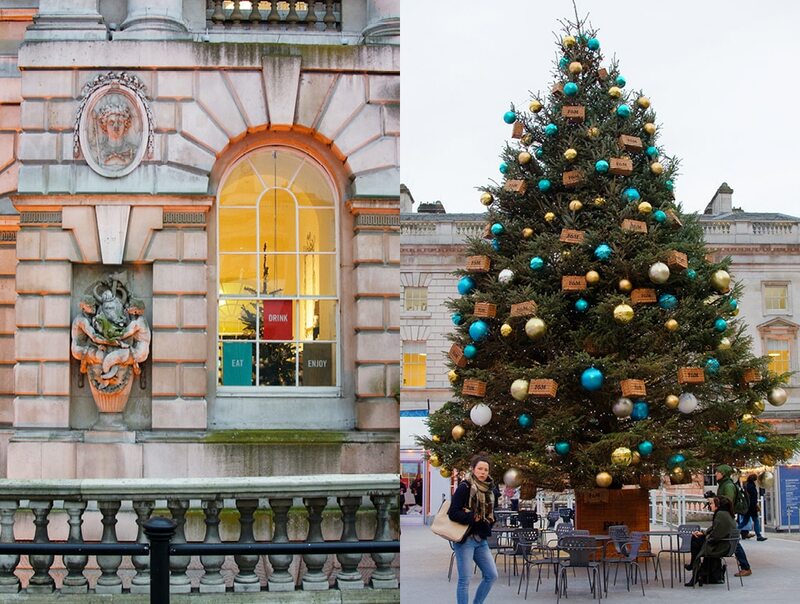 There’s a bevy of activities available in London during the holiday season with various festive markets popping up around town. 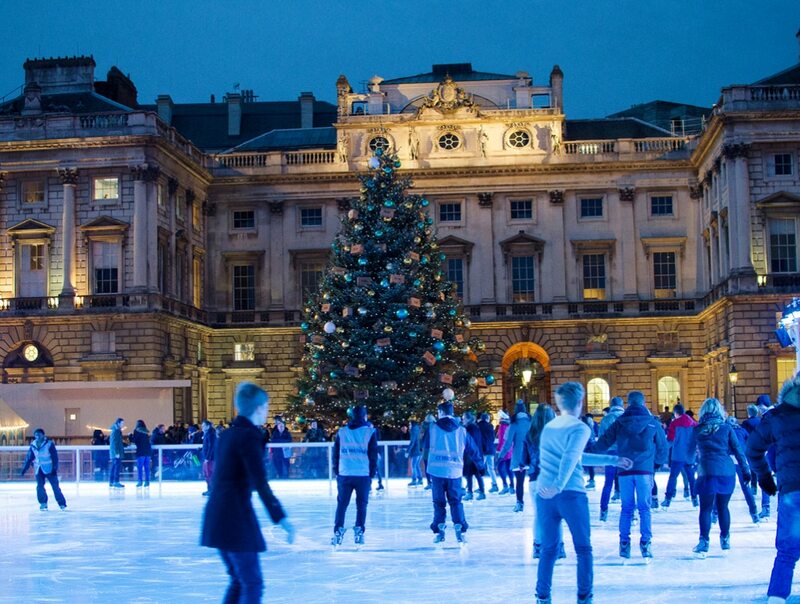 But one thing you should definitely plan on is a visit to the Somerset house ice skating rink. 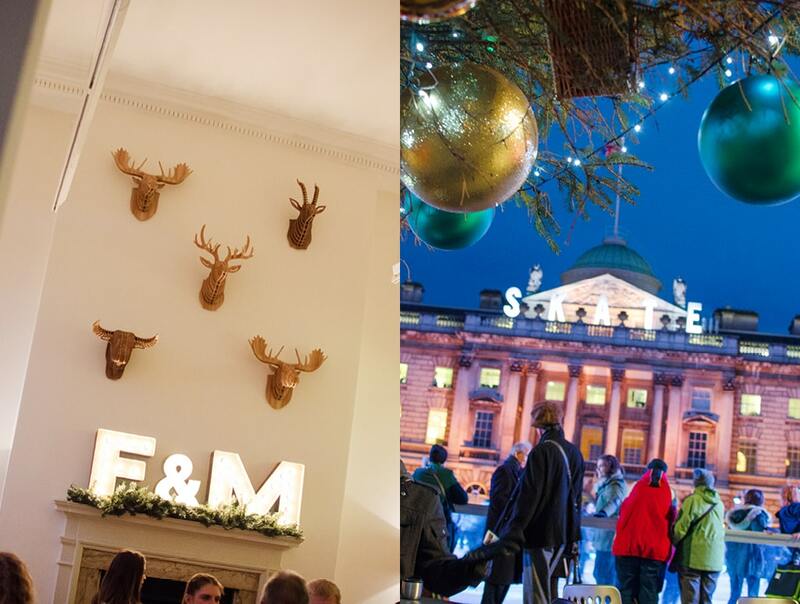 This year Somerset house collaborated with famous purveyor of the best seasonal goods, Fortnum & Mason, who turned the halls of Somerset house into their own Christmas market, of sorts. 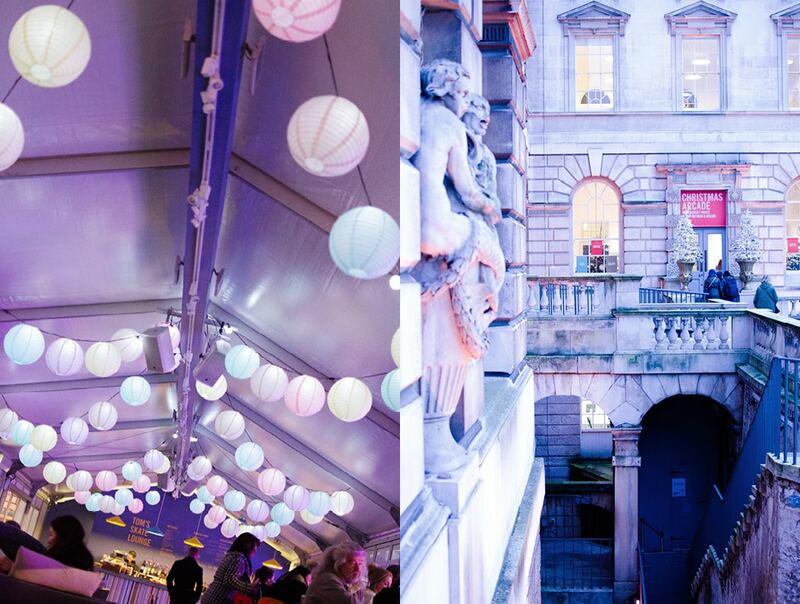 Situated on the Strand next to Waterloo Bridge, overlooking the River Thames, the Somerset House foundations date back as far as the 16th century. It was once home to Queen-in-waiting Elizabeth the First, daughter of Henry the Eighth and Anne Boleyn, during the reign of Queen Mary the First. After that the palace saw its fair share of renovations and additions due to the many different “lodgers” that followed. After the English Civil War, Parliament attempted to sell the property but nobody wanted to buy it. 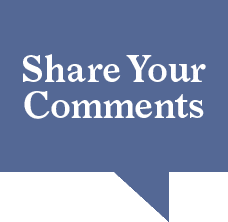 So it was taken off the market and put to various governmental uses. 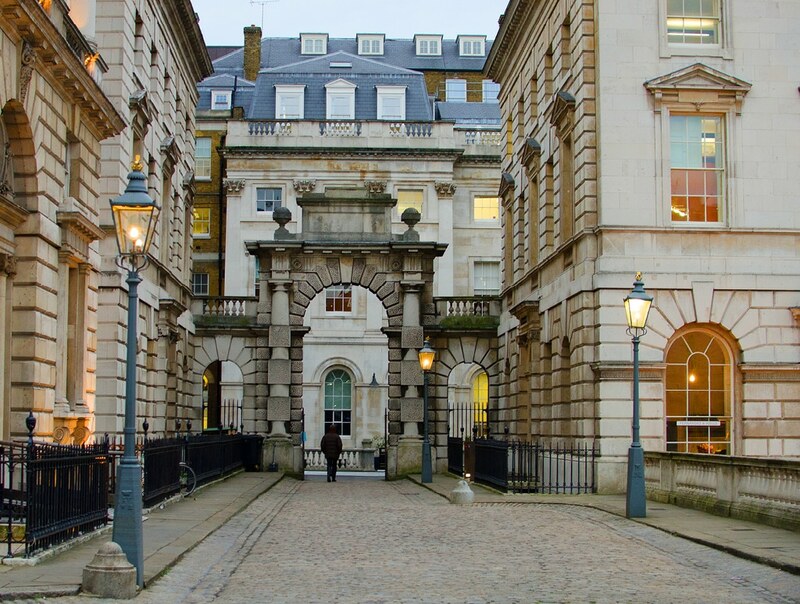 Legend has it Lord Nelson worked in the building for a while when it was partially occupied by the Admiralty. And as testament to the legend, the meeting room that Nelson might have visited has for a long time been called the “Nelson Room”. 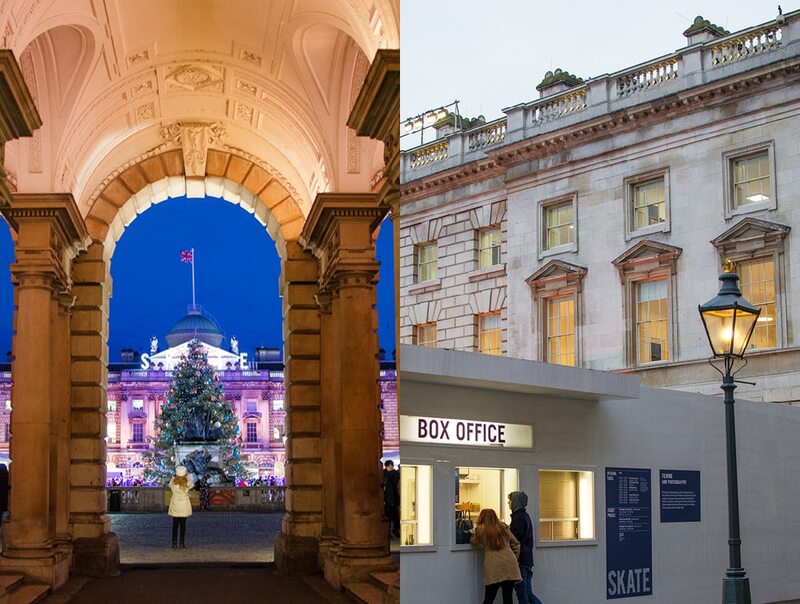 In the late 20th century it was decided that Somerset House will be a centre for the Visual arts, and now houses several exhibition spaces and a few restaurants, all focused on the central courtyard, used for various events and activities, like ice skating. 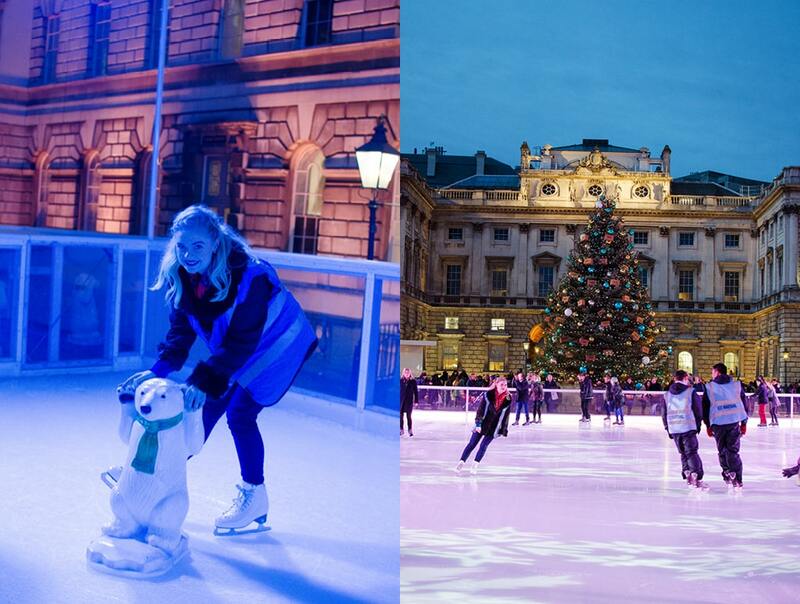 The ice rink appears at the beginning of November and remains until early January. Booking is available for hourly slots, with skate rental included in the price of admission. 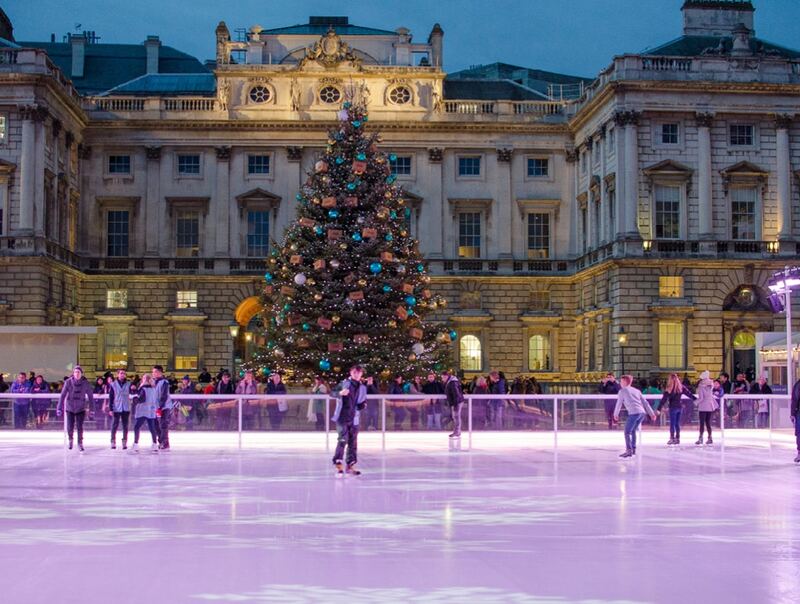 Every hour, admission is limited to 220 ice skaters so it never gets crowded on the ice. Plenty of room for you to show off your twirls and glide around the rink backwards. Each hour the ice is cleaned and smoothed for another round of holiday skaters. The afternoon we visited there was a good mix of skating skills on display, from total beginners to advanced skaters. 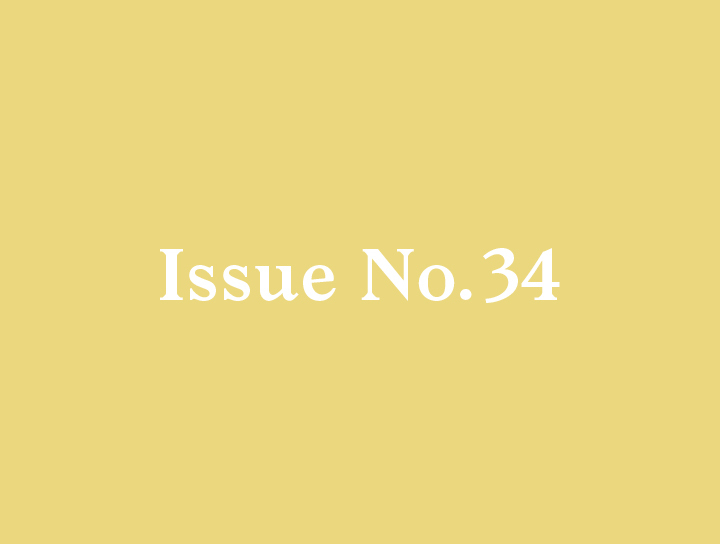 And for the little tykes, something to lean on is provided to steady the glide, in the form of small polar bears and penguins. They are very popular but remember, they’re only for kids! You adults will have to find someone or something else to lean on. As dusk set in, the lights came up giving the courtyard a wonderfully festive glow, capped off by the “SKATE” sign on top of the building. 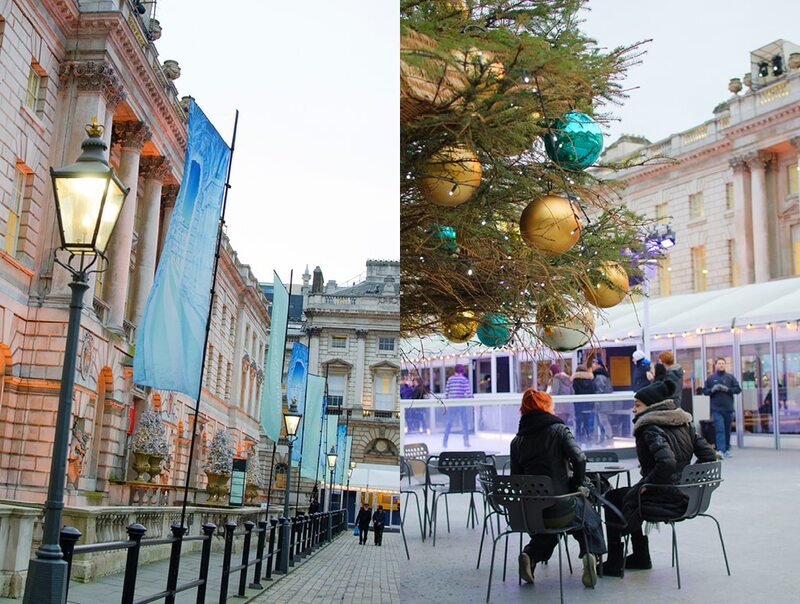 Opposite is an enormous Christmas tree with tables underneath where you can sit and enjoy warm drinks and treats from Tom’s Skate Lounge situated on the east side of the rink. 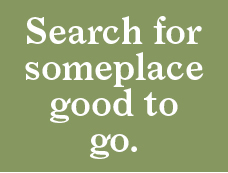 Or if you are not in the mood for refreshments, it’s a great place to just sit and watch the people glide by. 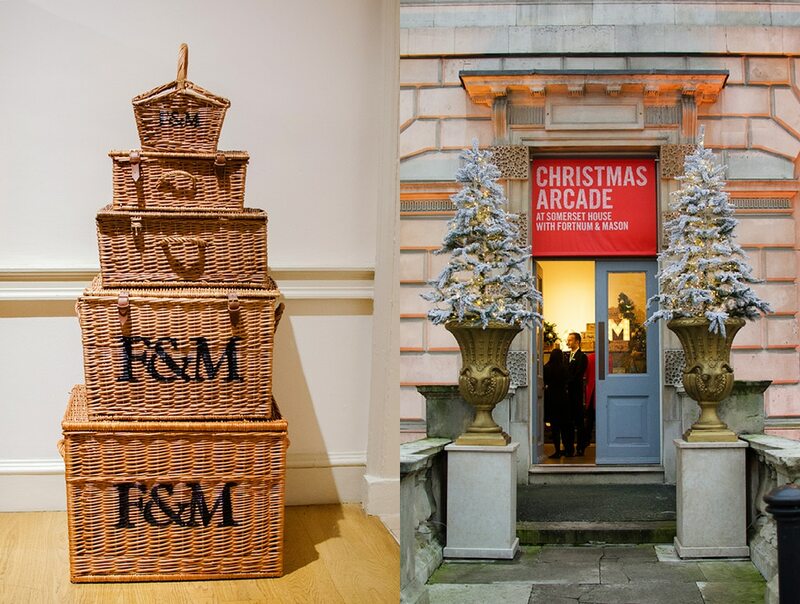 After an hour of skating, time to head indoors to investigate the Fortnum & Mason Christmas Arcade installed in the West wing of the building. 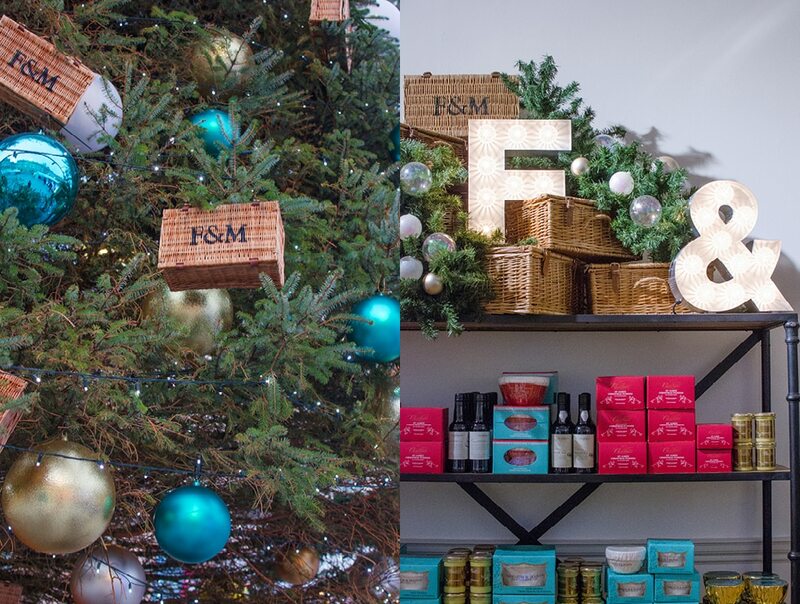 F&M has outfitted each room with classic English Christmas treats. Truffles, Christmas puddings, special Christmas teas and an array of great gifts for family and friends. 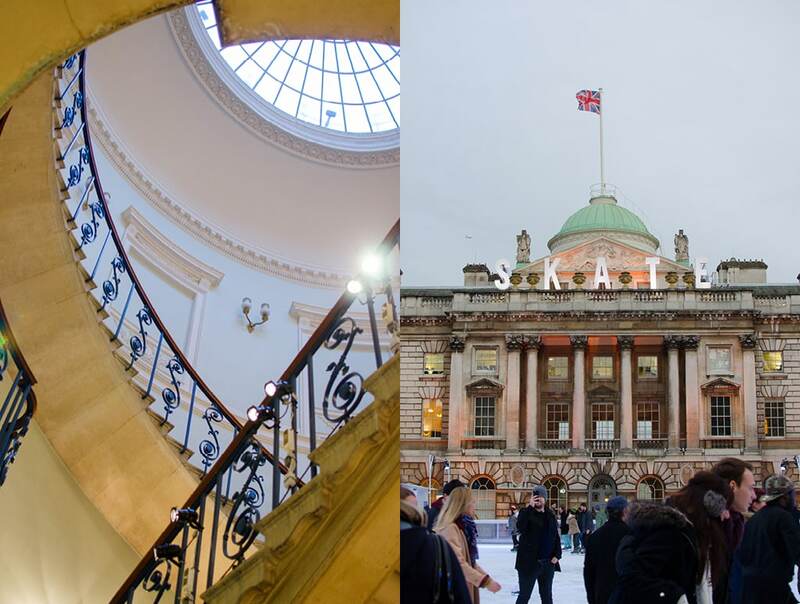 The F&M Lounge just next to the Lord Nelson Staircase is particularly good for a cozy drink. I mentioned Christmas Crackers earlier. These are one of my favorite English holiday traditions. You can pick them up in one of the F&M concessions. They were invented in 1840 by Tom Smith. Originally he sold his bonbons in a twist of paper with love messages inside, later adding the “crackle” to represent crackling logs in the fire place. Finally, Mr Smith let go of the candies and replaced them with little trinkets, including the now iconic paper crown and a selection of really bad jokes. 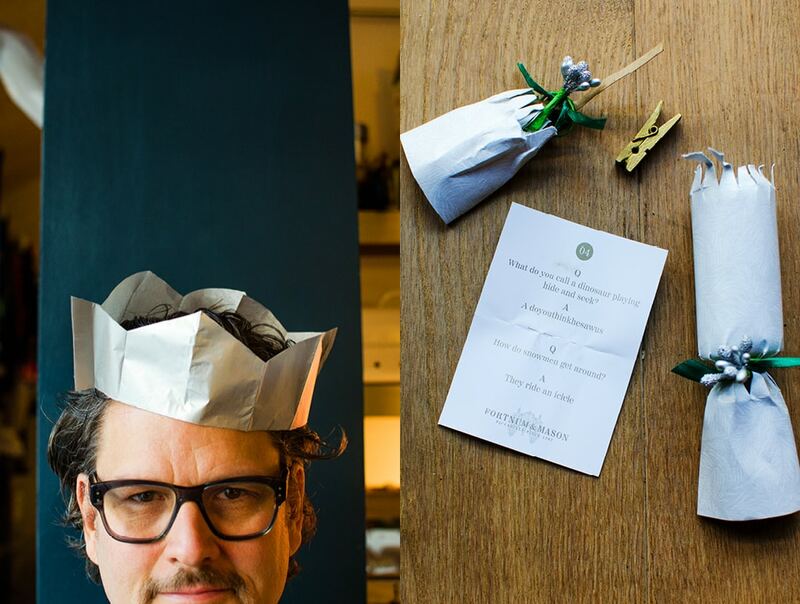 It sounds absurd but you can really get a party going with a few paper crowns and some bad jokes. The English are famous for their dry subtle wit. My personal theory is that the reason for this is because they all grew up on these bad Christmas cracker jokes. Practice makes perfect. 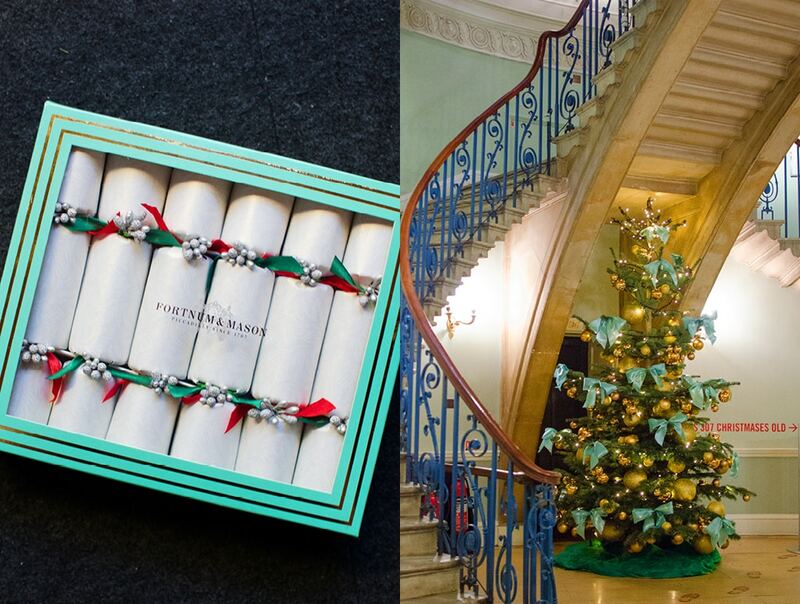 As an aside, did you know that the British royal family has special Christmas crackers made for them each year? I wonder who writes those jokes.